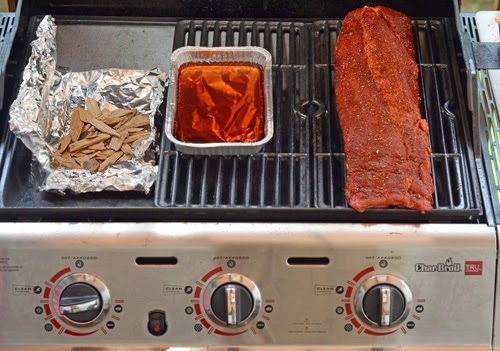 Here it is the end of August and I forgot to post a link to my Char-Broil Allstars post for the month which was a recipe for delicious Memphis style dry ribs. BBQ sauces need not apply. The ribs aren't dry, they are as succulent as can be. 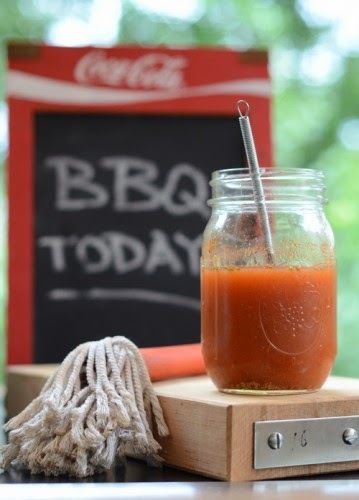 "Dry" just means they are not slathered with a sweet, sticky sauce like most ribs you'll see this Labor Day Weekend. 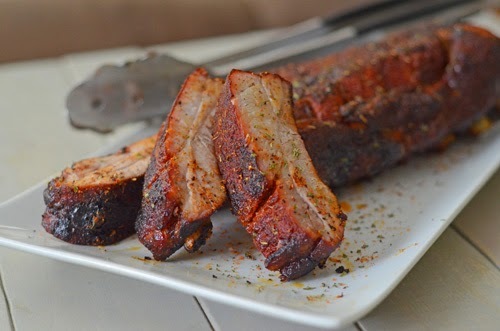 They rely on a highly seasoned dry rub that loads them with flavor. This is actually one of my favorite ways to do ribs. 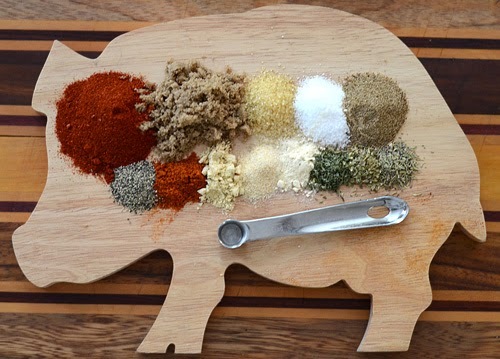 I didn't consciously line the rub ingredients along the pig's ribs, it just happen that way. And for the majority of my readers who don't have a kamado grill, these were cooked on my Char-Broil Gourmet TRU-Infrared gas grill and the recipe is written for a gas grill. Of course, if you want to do them in a kamado grill, that works too, just use the rub recipe and your normal baby back cooking times.